Ray Donovan is a very good drama, and it's been around a while now. A major character dies in this season, so that has a huge impact. In season 6, Ray and the series are moving to New York. If you've watched the first 4 seasons, you will love this one as well. As usual, Ray has to juggle his job, his family, and legal problems. The writing is always very good, which keeps it from getting boring. Plus, the cast is outstanding. The DVD set has all of the usual features and extras, if you like to watch that kind of thing. I usually don't have time to watch them, but they're enjoyable. You should definitely watch the first 4 seasons or you might be lost. 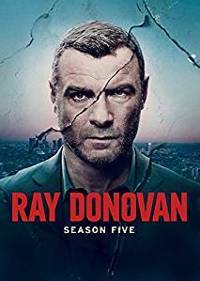 Description: Six-time Golden Globe® and four-time Emmy® nominee Liev Schreiber (Spotlight) returns as Hollywood’s most reliable fixer when the thrilling collection RAY DONOVAN: THE FIFTH SEASON arrives on DVD. Also starring Academy Award® and Golden Globe winner Jon Voight (Fantastic Beasts and Where to Find Them), the latest season of the acclaimed SHOWTIME® original series features notable guest stars including Academy Award® winner Susan Sarandon (Dead Man Walking), Lili Simmons (“Banshee”), C. Thomas Howell (“Southland”) and Donald Faison (“Scrubs”). In the latest season, Ray’s ongoing family upheaval has taken an emotional toll, leaving him more vulnerable than ever. LA’s preeminent fixer is heading into uncharted territory and will soon discover that some damage can’t be controlled. In addition to all 12 episodes of the fifth season, the new collection is packed with special features including an exploration of what befalls the character of Abby (Paula Malcomson), an in-depth look at Bunchy (Dash Mihok), Eddie Marsan’s portrayal of Terry Donovan as his character is stricken with Parkinson’s disease and commentary with Malcomson and series showrunner David Hollander.